SAHM No More | Teefa Says..
Hope it's not too late to wish you happy new year! i have two posts labeled as draft that i didn't have the time and strength to finish. Prior to my last post, there's a huge blogging hiatus for me. 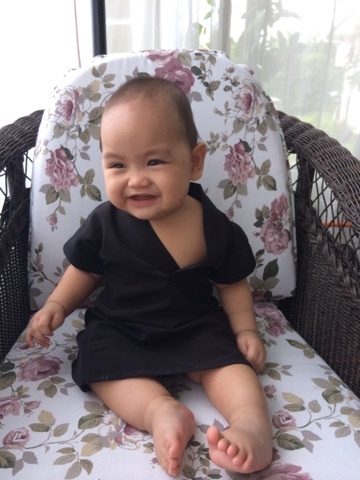 i thought i could blog more when i become a stay at home mom. i had all these things happening in my life that made me go "i need to blog about this!" But haha! Skang dah masuk keje dah haa.. i no longer wear the Stay at Home Mom crown. Seriously, being a SAHM is far more time-occupying than being at work. i didn't even read Whatsapp on the spot. Could only reply to messages 1-2 hours (if not days) after receiving them. - It's been 4 5 months since Afif's CI is switched on. Afif can talk now. Okay, takde la talk sangat. Still mainly jargon. His language development is equal to kids age 1-2 year old. But he can say stuff like shushu when he wants milk, kacot, aket, jatoh, and so on.. He'll say 2-word sentences when he is bossing Dhani around. "Adik, no no no!" "Adik, jatuh!" "Adik, sini!" His word count is now somewhere at 200 words so i'm so happy with his progress. Terbaru dia suka repeat ape orang tanye. Haha. - We celebrated Afif's third birthday in October. Just an intimate celebration setakat potong kek dan makan mihun and lasagna but he was so happy! He played all day with his little uncles and aunties, happily nyanyi lagu birthday, tiup lilin bagai. Everytime i watch the video, it brings me so much happiness. The only thing missing was his daddy who were in Jeddah at that time. 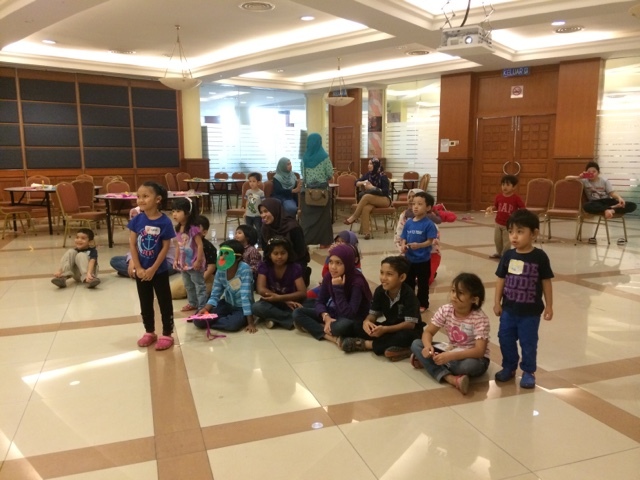 A few days later, the spech students and Dr. Basha gave a surprise birthday celebration for Afif and Aisya (she's like 10 years old, wears CI, talking and learning like normal kids already. So insipirational!). Afif and Kak Aisya, surprised at iHears, UKM. 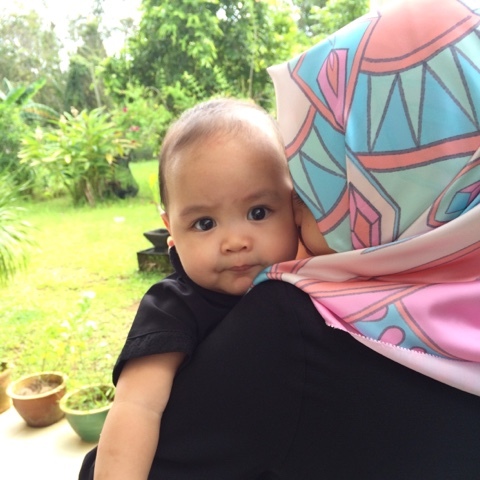 - Dhani si tembam dah start makan solid food. Umur 5.5 bulan aritu aku start bagi. Despite being tembam, he doesn't really eat much until recently. He loves sweet food like apple+cinnamon puree, pumpkin+date puree, banana+avocado mash.. Salmon and fish porridge kekadang je licin mangkok. - He is 9.5 mont already! He started crawling at 7+ month and now he's busy climbing up and meniti kat kerusi, dinding, etc. Kekadang dia lepas tangan cam nak berdiri dah. Tapi 2-3 saat je tahan pastu terduduk. Haha. Memang takleh tinggal sensorang dah budak ni. - He tries to imitate sounds and words already. Like mama, bababa, tata.. He also loves doing hand gestures like bye-bye, flying kiss, and tepuk tangan bila org cakap "pok amai-amai" or "pandaiiii!" - The fact that how different Afif and Dhani are totally amazes me. I thought they're both boys. How different in personality could they be right? Wrong! 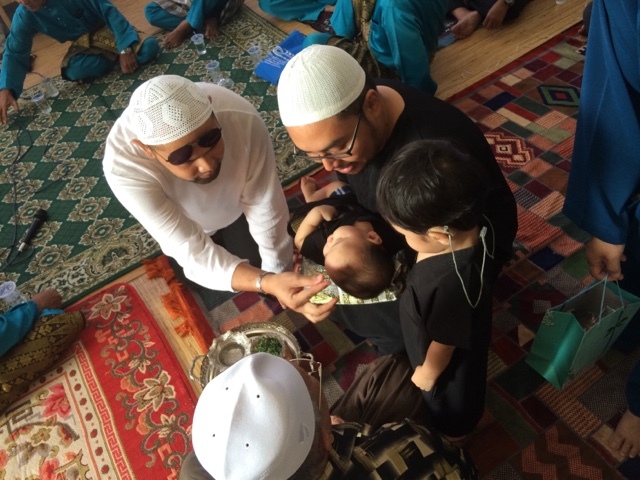 Afif didn't crawl, and because of his hearing loss, he didn't talk or say much in his first few months. Dhani crawls all over the place, is noisy (especially when he joins in when Afif buat bising) and so cheeky. 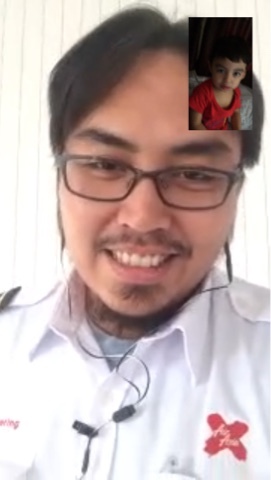 - i survived almost 2 months of LDR! Mr. Chenta got home from Jeddah in early November, safe and sound alhamdulillah. 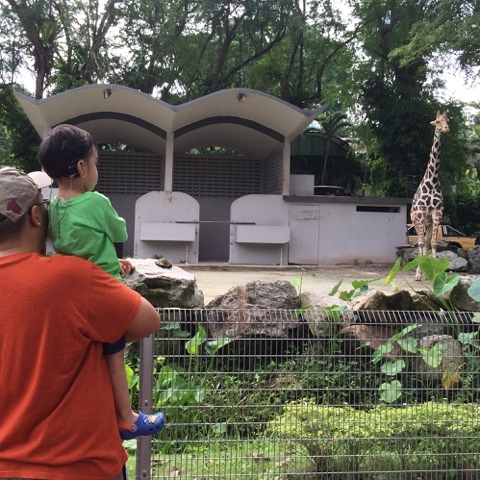 - brought the kids for their first ever visit to the zoo! Tapi cam menyesal sebab Zoo Negara tengah under renovation so banyak attraction tutup. Animal show pon takde. Humpf. 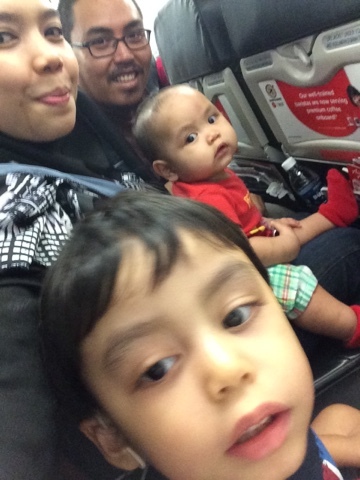 - Dhani's first airplane ride at 7+ months. Masa flight KL-Kuching, Mr. Chenta tak ikut sebab keje. Aku balik dulu ngan SIL and Wan. Ade teman pon, cuak weh bawak 2 kids.i mainly worried if Afif wants to run around or Dhani screams his head off. Alhamdulillah, both were good boys. 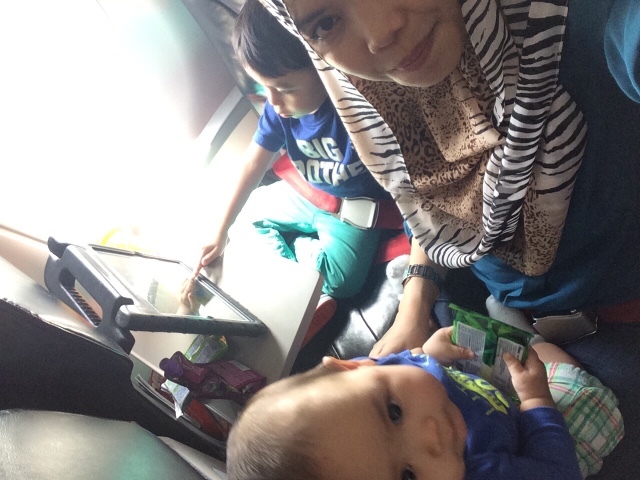 Afif dah besar, so dia macam dah paham bila explain kita tengah tunggu kapal terbang, beratur nak boarding, duduk, pakai seat belt, kapar terbang nak take off, etc.. Dhani pon behave. 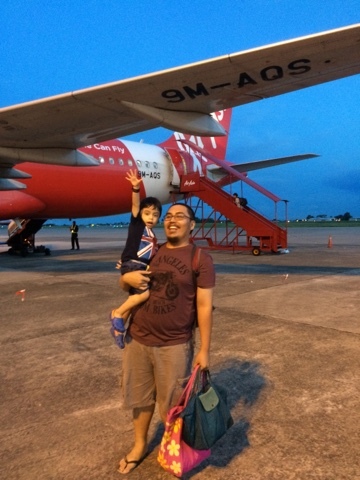 And even though this is Afif's umpteenth airplane ride, it's the first time that he really understands that we're flying. From queuing to get into airplane, putting the seat belt on, no standing/walking/messing around, sampai la landing, he understands and really listened. There's Farah, my SIL, Afif, and Wan. Our flight from Kuching to KL. 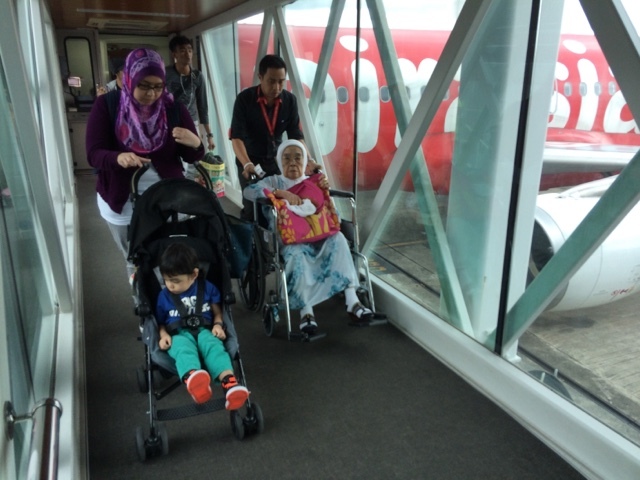 Ni anak beranak obsess ngan kapal terbang. 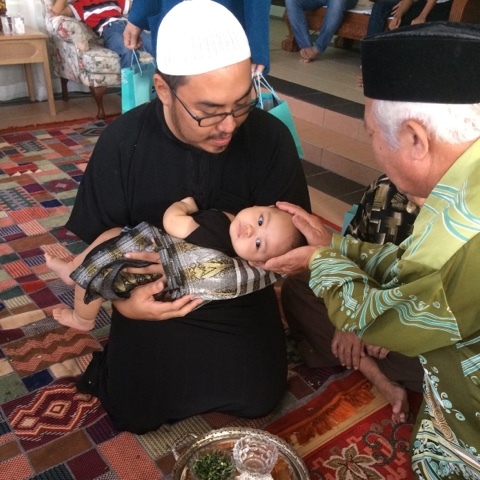 - We had Dhani's aqiqah at PIL's place in Kuching. Takde la pelamin, buaian berendoi bagai. A simple ceremony berzanji, baca doa and makan-makan afterwards. It's so good to see Babah's side of the family. Marhaban & berzanji. 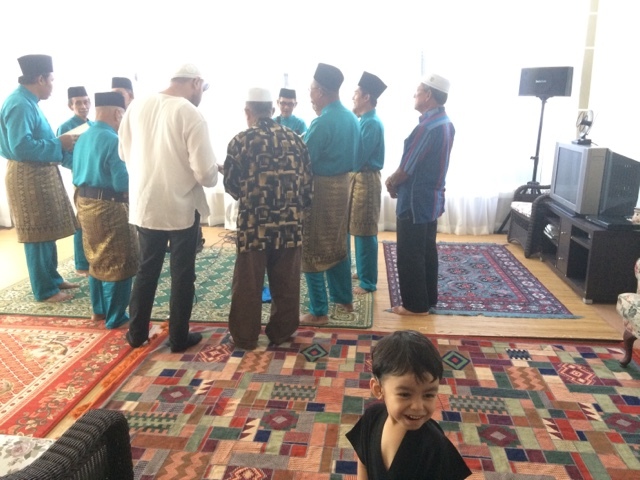 Afif excited lebih. - my best friend Shaf got married! - My SIL is back for good from UK. So rasa seronok la macam ada kawan and helping hands with the kids at home. - In the last few months of unpaid leave, i sort of have a small business selling choc chip cookies. Alhamdulillah every week ade je tempahan. Setakat kawan n sedara mara order. Ade kedai bakery supply ni soh aku buat doorgift tp tak brani amek. Nak siapkan order tak banyak ni pon rase semputtt sangat apatah lagi nak buat doorgift kawen. Takpe lah. Belom ke situ rezeki aku. Tak ready lagi. - in December, my SIL and i registered our very first company. 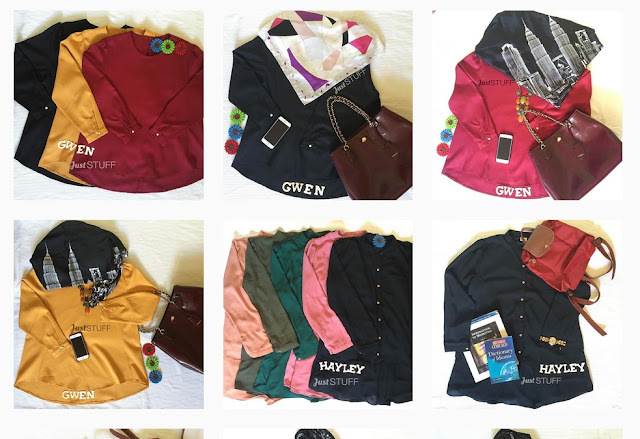 For now we're focusing on selling plus size clothes. 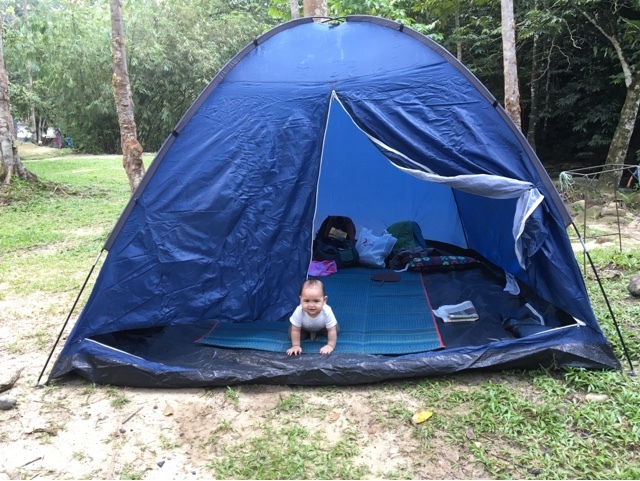 We started small, modal pon tak besar. Alhamdulillah the response for our first batch is good. Almost all the clothes were sold out. Alhamdulillah. Ni kitorang baru launch second batch. Tapi second batch ni slow sikit. It's okay, we learn along the way. Some of our plus size collection. Do visit us at Facebook Just Stuff or our Instagram @juststuff_my if you're looking for plus size clothing! 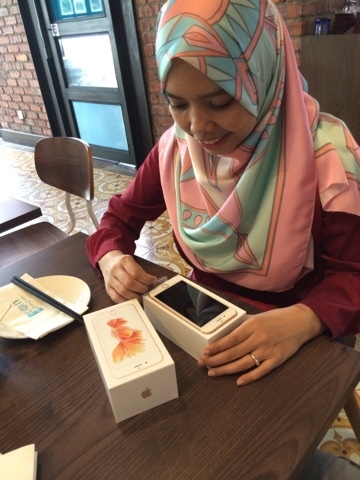 - i got an iPhone 6S from Mr. Chenta and a Coach handbag from my MIL for my birthday! Rezeki sangat. Any woman would be happy with these pressies kannn..
Birthday dinner with my girls. 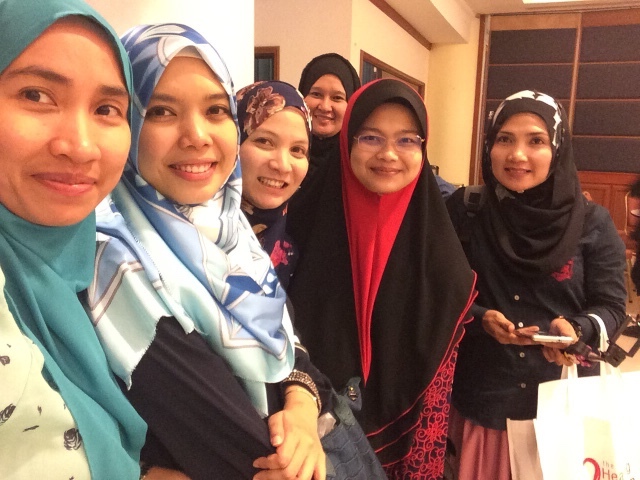 - Sepanjang cuti jugak attend 3 workshop berkaitan hearing and speech development. 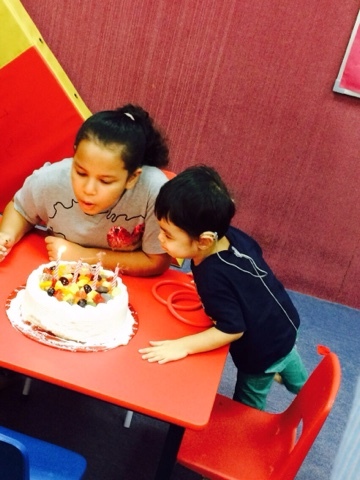 The first one was a 2-day workshop by Cochlear and HUKM. Gigih angkut Dhani tapi second day aku ponteng haha. Pastu workshop by Cochlear with guest audiologist and SLP, the great Prof. Dr. jane Madell, and the last one workshop by Hear Me and Dr. Basha. i learn a lot from these 3 workshops on how to better help Afif on his speech and language progress. Mama Afif dan kawan-kawan sekasut. 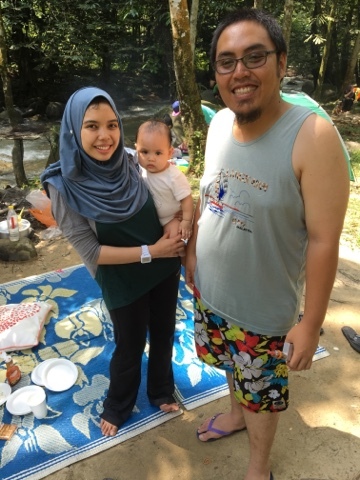 - went for a picnic at Ulu Yam with my Ucu and her family. Seronok la Afif mandi sungai. Dhani meragam je sebab takmo orang pastu cam rimas agaknya berkhemah tengah panas. Pastu paling takleh lupa, tengah hari tetiba hujan lebat. hahaha. Kelam kabut weh dengan anak kecik bagai. 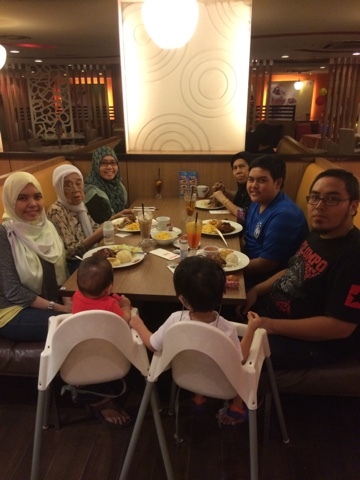 Ni plak masa celebrate Wan's 94th birthday! 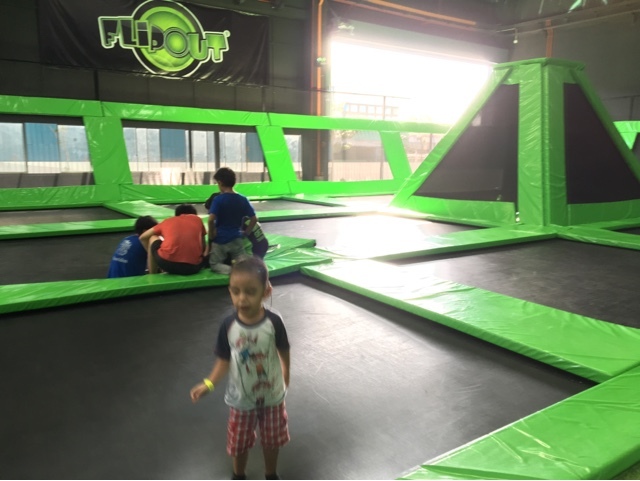 - we went to Flip Out, a trampoline park at Sg. 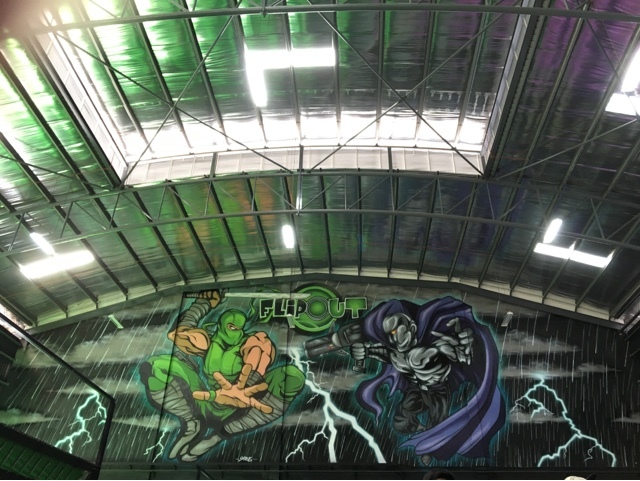 Buluh (dekat ngan Uptown Mutiara Damansara je sebenarnya). Afif la paling sakan melompat. Aku pon sama. laki aku jaga Dhani dok tepi. Haha. Serious best weh lompat melompat. Rasa carefree. Plus i heard the instructor said 10 minutes of trampoline-jumping equals to 30 minutes of jogging. Sakan la kan.
- Afif started playschool like i blogged before. Still can't believe my boy's in school. This morning i sent him to school and stayed a bit to watch him from the teacher's office's huge window. Teacher dok ajak berjoget beramai-ramai, dia pi buat hal dia main slide *emoticon smiley nanges di sini*. Teacher said he has a best friend named Isyraf. asyik berkepit je depa. haha. Ko paham takkk tetiba my baby dah ada best friend? - i am now back to work. It feels a bit bizarre. From waking up with my babies at 10am to rushing to get ready and to get Afif ready by 8am. From milk-stained tank tops to work clothes. From the sound of screaming/laughing toddler and baby to the tapping of keyboards and meetings. - ...and not to mention that i now am no longer Petronas Holding staff. i'm a Petronas Carigali staff. 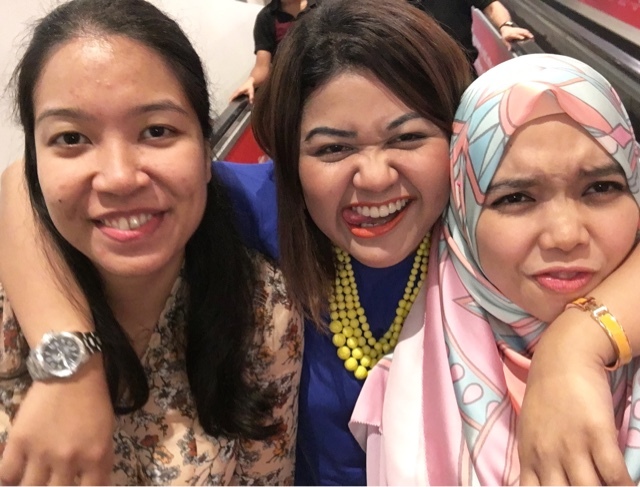 Yea, they're like sisters company but hello new office, new bosses, new colleagues, new environment, new role! - you have probably read in Facebook yang orang kecoh-kecoh pasal harga minyak jatuh, that oil & gas industry is in trouble, that Petronas is in bigger trouble.. It's true that oil price is dangerously low, the economy is badly affected. But rumors about Petronas maintains just rumors. Truthfully, aku risau la jugak kan. Dah la baru nak merasa balik gaji hasil titik peluh sendiri pastu dengar pasal buang keje la, potong gaji la VSS la.. and worse thing is these rumors are from people/news OUTSIDE of Petronas. Kelakar kan? i'm gonna put my faith in Allah and my employer. i believe Petronas takkan naya staff dia dan negara. Hamek ko. Sekali berbelog berjela tulis ha.